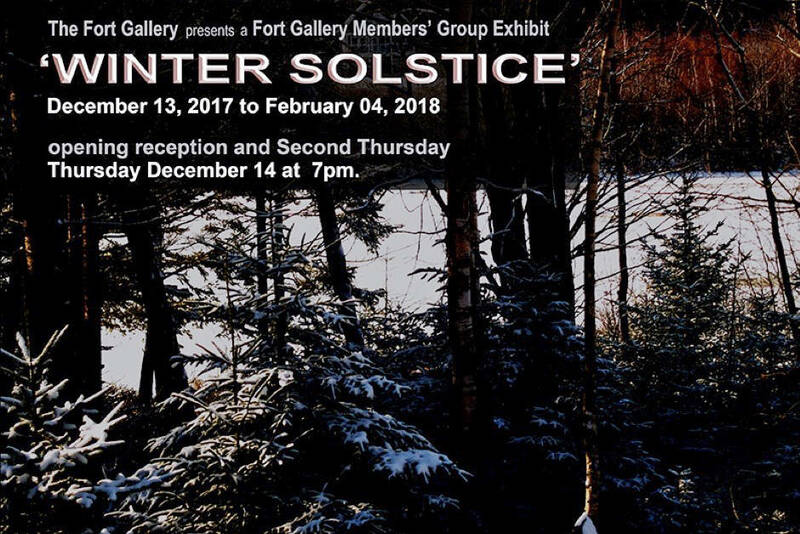 Dec. 3, 2017 11:00 a.m.
Artists of the Fort Gallery are celebrating the return of the sun in the group show Winter Solstice, from Dec. 13 to Feb. 4, 2018. Since ancient times, people from all cultures around the world have recognized and celebrated this astronomical event marking the shortest day of the year. Artwork will encompass a variety of different styles and interpretations of these celebrations, and of what the Winter Solstice represents to the artists. The opening reception for Winter Solstice will be held in conjunction with the gallery’s December First Thursday community arts event on Dec. 14, from 7 to 9 p.m. This free evening will also feature music from percussionist Dr. Daniel Tones. Tones is an award-winning percussionist recognized for his work as a soloist and chamber musician. He has performed with internationally recognized artists Bob Becker, Aiyun Huang, Morris Palter, and Steve Schick, and has broadcast nationally on radio and television. He studied with Salvador Ferreras, Russell Hartenberger, and John Rudolph, and was the first person to receive a doctorate in percussion performance from a Canadian university. Tones teaches at Kwantlen Polytechnic University, and provides workshops regularly to students throughout Metro Vancouver. The gallery, located at 9048 Glover Rd., is open Wednesday to Sunday, noon to 5 p.m. They will be closed for the holidays from Dec. 23 to Jan. 7, 2018.